A couple of weeks ago, I had company for brunch and I wracked my brain trying to figure out what to make. After consulting recipe books and perusing my blogroll, I decided to keep things familiar. I made some almond & cherry scones, whipped out my apple butter, put out my huge glass jar of homemade granola and I fancified some yogurt. You see, last year (when I had cable tv), I saw the Barefoot Contessa make a fancy brunch for her fancy friends in her fancy kitchen. I was impressed. But I was most impressed by her tricked out orange yogurt. It seemed so easy….drain store-bought yogurtovernight and then throw in some add-ins. She transformed a runny breakfast stand-by into something voluptuous, decadent and still healthy. So the night before my morning guest was to arrive, I set up my coffee pot and filter and drained my yogurt in that. In the morning I was rewarded with thick, really thick, yogurt. I added in some honey, coconut and of course fresh orange juice to rehydrate and zest. Because I was serving this with granola I didn’t want to add in the nuts and raisins the original recipe called for. It didn’t lack for a thing…it was amazing as is! Yesterday morning, I decided to try the yogurt again, but since I was planning on eating it with some fresh fruit, I stayed on the Contessa’s side and added some dried fruit and nuts for a bit more depth. Once again, I was blown away! Sure, it requires some advance planning to drain the yogurt, but the results are truly outstanding. I use my favorite 0.3% local Fraser Meadow organic yogurt and you’d never guess it was low fat by how it looked. Spoonable and swoonable, indeed. Line sieve with cheesecloth and suspend over a bowl — or just use a coffee pot and filter like I did. Add yogurt and let drain 3 hours or overnight. Throw out liquid and place the thickened yogurt in a bowl and add remaining ingredients, stirring well. Serve plain or top with granola and fresh fruit. The Contessa’s show is great. When I visit my parents I get my fill of TV and always remain glued to the screen when her show comes on. I do believe that in some Greek bakeries/grocery stores you can get the Balkan yoghurt which is already strained. They have it like that for making tzatziki dip efficiently – but it is high fat yoghurt. This orange yoghurt sounds awesome however…much better sounding than plain, sour, runny yoghurt, which I seldom eat. your blog is so beautiful. Vancouver is my home also–except I currently live/study in Montreal. So many great ideas… Thanks! I second using Greek yogurt if you want to do this last minute. I can even find it at some of my normal grocery stores. I must try this. I think tomorrow a trip to pull ingredients together is in order. 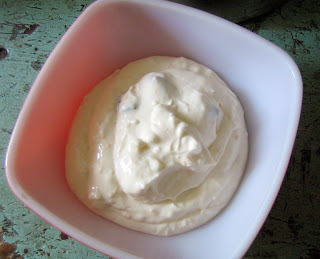 I’ve made this yogurt several times, and any time I serve it to brunch guests, it pretty much knocks their socks off! It really is THAT good. I’ve never tried adding coconut, though … How intriguing and, I bet, delicious! This looks soooo yummy. I’m totally making it as soon as I can. I’ve been wanting to try this for ages…. a little like greek yogurt…eh? Sound like a great thing for brunch and important people..
oh yum. this place in san francisco called samovar serves yogurt like that – greek style i think it is, right? – topped with chopped pistachios, chiffonade of mint and honey. delish. Mmmmmmmm! Can I have some now, please? That strained yogurt is just the best idea 🙂 I’m always looking for ways to make brekkie more interesting (well, make sure I actually have it in the first place) and I think you’ve just suplied the answer! And thanks for the coffee pot and filter tip. Yum, this looks like a beautiful, delicious breakfast. I would definitely go with the stir-ins. Wow, that looks so good! I love yogurt, but am still trying to find a good dairy free brand! When I do, I will have to try this one! rachel, you’ve got to try it. it makes breakfasts super decadent! joanne, this thickens up low fat yogurt perfectly! thanks lauren! montreal is beautiful too. i was so happy to have remembered this recipe, tania! it’s amazing (and not just for fancy brunches). lydia, this is great. perfect for breakfast! jessie mae, i hope you’ve tried it and loved it. kyla, with pistachios, mint and honey…oh my! sounds great. jen, it’s good. i hope you can give it a try. it’s worth it. sarena, good luck. if you do find a good one, let us all know on your blog! What an idea! Simple, delicious and wonderful for brunch. Making this would allow you to actually sit and enjoy time with the guests instead of standing in the kitchen flipping one pancake batch after another. This is right up my alley! Gotta try it soon! i’ve been checking out your blogs for a few weeks now and really enjoy your posts. this yogurt recipe is based on the same concept as a popular indian dessert called shrikand, in which you strain the yogurt and then fold in powdered sugar, saffron soaked in milk, a pinch of cardamom, and ground almonds or pistachios. you can eat it on its own, but it’s also served with a type of fried bread called puri, which you dip into the yogurt. not quite as healthy as your version, but so delicious! thanks for hosting such a great blog! I have this kind of breakfast a lot in simple or not so simple variations. I use Turkish/Greek high fat yoghurt which comes in a little bucket. 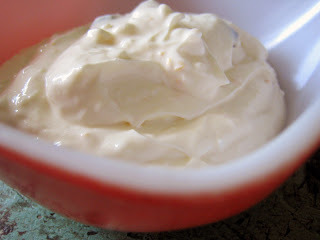 Yum, indeed…I recently made a savory labneh version with Greek yogurt and was duly impressed. This could be my new creamy breakfast version! I have a question, do you keep it refrigerated while you’re draining it? amanda, that version sounds delish! michiel, i’ve never had greek yogurt but i’m pretty satisfied with draining the low fat kind! Mevrouw Cupcake, i’ll have to do a savoury version soon! amy, yes, keep it in the fridge! i’m so often skeptical of contessa’s recipes, but seeing the show and this post over the course of a week convinced me to give it a try! so worth it! After seeing this post, you inspired me to try actual chunks of fresh sweet navel orange with some thick homemade whole milk yogurt. A bit of vanilla and sometimes some cardamom powder makes it unbelievably good. I’m afraid to try additions of honey, coconut, and almonds because it’d be even better and I’d end up replacing every meal with orange yogurt.